A “sneckdown” is what you call the piles of snow that remain when drivers have carved out tracks after a winter storm. These patterns on the street show where there’s plenty of space to expand the sidewalk or add a bike lane. In a 2014 blog post, Jon Geeting highlighted more than a dozen of them along a single Philadelphia street. Geeting photographed sneckdowns on Passyunk Avenue and outlined them in a bold green. It turned out to be a highly effective way to communicate the idea — the post was shared around the world. 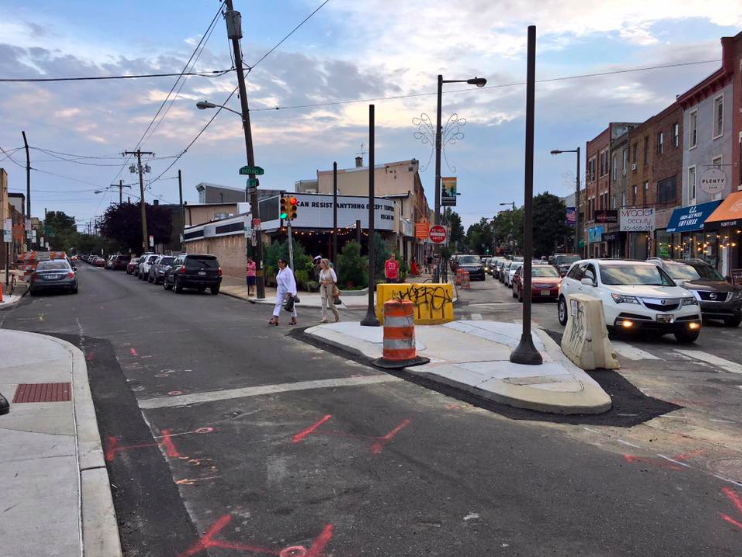 It worked so well that one of the sneckdowns Geeting highlighted is now a permanent fixture on Passyunk Avenue, where the city cast it in concrete as a pedestrian island (above). YAY! NO TREES! YAY!!! HEAT SINK YAY!!!! i mean. at least it’s white so it’ll reflect heat away instead of keeping it? You wouldn’t put trees in a crossing, you’d have people getting hit by cars. That makes no sense. Are people getting hit and killed on sidewalks or parking lots every minute? that’s true. And if nothing else, they could have put a flower bed. I’ve always wondered how to achieve a sneckdown kind of result in a place where it doesn’t snow, or have lots of fallen leaves. Maybe today I’ll get my answer. Lots and lots of flour. More liberal utopia that does not work and we do not need! Honestly what is wrong with you? What is wrong with calling out something silly that makes no sense? LinuxGuy is silly and makes no sense. Believe as you wish. Insults are all you have. 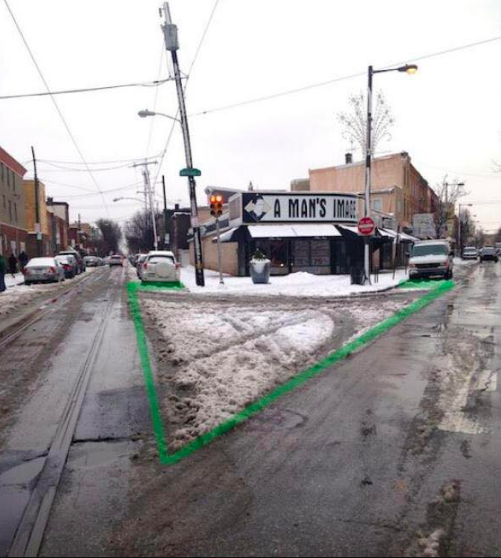 Change Coming to Famous Philly “Sneckdown” Street, But Is It Enough? Will the Pope’s Visit Lead to Massive Car-Free Days in Philly? The "leafy neckdown" revealed 2,000 square feet of excess asphalt.